Adult: Midweek rateNOTE: Rate for Sunday through Friday only. Looking For A Great Time? 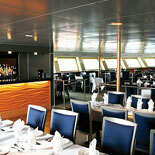 A Spirit Dinner Cruise is the perfect night out. A magical setting, filled to the brim with wonderful cuisine,and dancing under a canopy of stars. This is the ultimate night on the town! 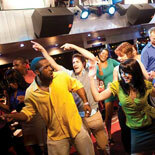 City's hottest DJ's play your favorite hits, so you can rock 'til you dock! 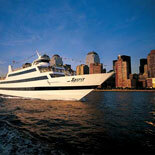 The magnificent Spirit of New York Dinner Cruise offers an evening of unparalleled cruising fun! 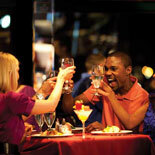 A Spirit dinner cruise is the perfect night out. A magical setting enhanced by dazzling city sights and harbor lights. At night, Spirit comes alive with Entertainment. From line dances to Top-40 hits, our DJs know how to get everyone up and dancing and create the perfect vibe. The three-deck, 600-passenger Spirit of New York is spaciously designed with climate-controlled interior decks, outdoor strolling decks at the bow and stern, and the largest outdoor patio decks on New York Harbor. Amenities include full service bars, dance floors (or staging areas), spacious bathrooms, flexible seating arrangements and huge, panoramic windows. Until you've seen Manhattan from the water, you really haven't seen Manhattan. It's a vantage point you have to experience firsthand to fully comprehend! When you cruise out of the dock you will get a wide-open, ever-changing view like no other! and Ellis Island, to name just a few. Whether for a party of two, a couple of couples, or a grand affair, the Spirit of New York Dinner Cruise, quite simply, is the perfect cruise choice! So, don't hesitate! 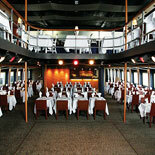 Catch the Spirit and make your reservations for the Spirit of New York Dinner Cruise today! Welcome Aboard! Sails on selected dates: Boarding at 6:30pm; Sails: 7:00pm-10:00pm. Sunday sailing: Boarding 5:30pm, Sails 6:00pm-8:30pm. Please check calendar on the reservations page for available dates. 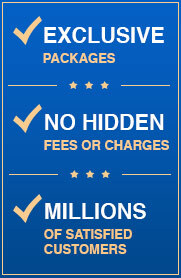 All cruises board 30 minutes before sailing. West 23 St. and FDR Dr.
All cruises sail rain or shine all year long. 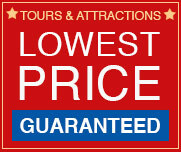 Please select the price line item for Saturday night sailings. Appropriate attire is business casual to dressy. Men traditionally wear slacks and sport coats, with or without ties. Wheelchair accessible.